Saturday, March 9, 2019 at 2 p.m.
Tour de Force features more than 25 dancers. It opens with a new work, The MOVE/ment, choreographed to jazz and soul music by Cleo Parker Robinson, with dancers from her company as well as from the Colorado Ballet. After a break, the Colorado Ballet performs Amy Seiwert's Traveling Alone, which explores a dynamic between the conformity of technology and a freeform vision, choreographed to a crackling, nostalgic melody, in the style of an old gramophone, composed by Max Richter. Next, after a break, is another new work, Wonderbound Artistic Director Garrett Ammon's Creatures of Prometheus, based on the Beethoven ballet. Dancers from both Wonderbound and the Colorado Ballet explore a unique score with instruments and coloristic orchestral effects unbound by the strict symphonic and overture forms of the day. The idea for this groundbreaking collaboration came to Colorado Ballet Artistic Director Gil Boggs three years ago, and required a juggling of the rehearsal and performance schedules of all three companies. The result sets an example for the elevation of unity, inclusion, and diversity between dance companies across the nation. "Both Cleo Parker Robinson and Garrett Ammon were very excited about the idea from the moment we started the conversation and started thinking about what they were going to choreograph for this program," said Boggs. In discussing her work, Cleo Parker Robinson was effusive. "This is an incredible opportunity to bring a diversity of dancers, in both culture and genre, together to create a work that is reflective of these powerful times in our community and the world. This project is an inspiring representation of this collective vision." Wonderbound Artistic Director Garrett Ammon is excited as well. "I wanted to put the talents and capacities of Colorado Ballet and Wonderbound artists on full display. By fusing the aesthetics of the two companies into a single whole, the work looks to embrace a wide range of the human experience—from refinement and elegance to eccentricity and primal expression. The outcome is a work that expresses our shared humanity." 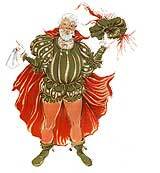 The program incorporates the markedly different styles of each company. 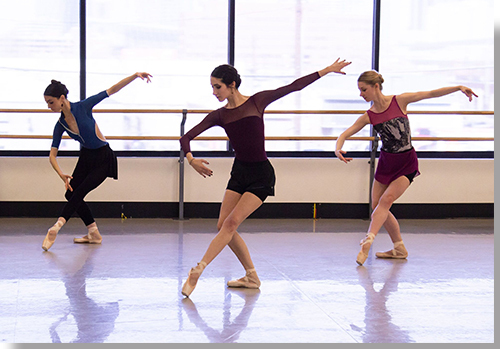 Colorado Ballet's style is rooted in traditional classical ballet. 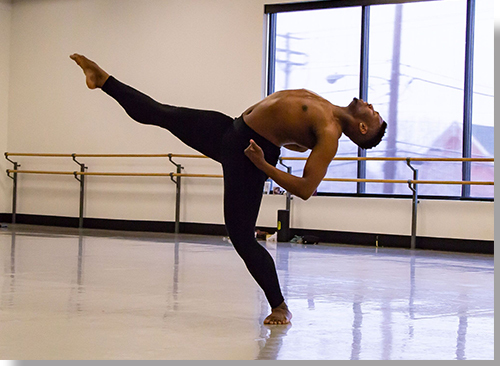 Cleo Parker Robinson Dance Ensemble's style is modern, influenced by African-American dance traditions, while Garrett Ammon's style with Wonderbound is contemporary, with a classical ballet foundation. For tickets: coloradoballet.org, or call Patron Services at 303-837-8888 ext. 2.